United Party for National Development (UPND) leader Hakainde Hichilema has called on Zambians to remain united even amidst divisive calls by those who may not value oneness. 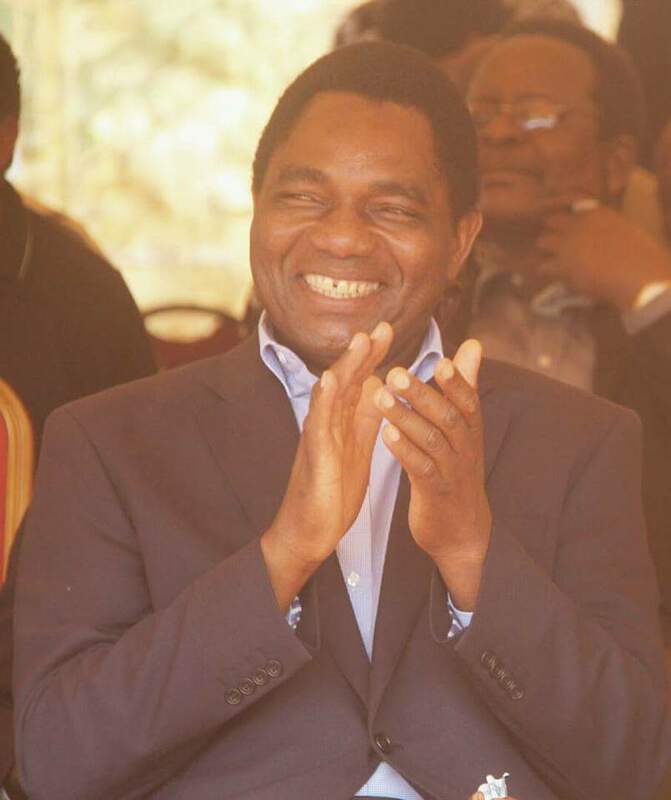 A Hichilema has told the PF government that arresting its critics will not end poverty in the country. “We are one people, as country we must remain united and work towards alleviating poverty, no arrests on those with dissent will shape our country’s development agenda, even when hate and hurt speech, arrests are done on any of us in the country by those who do not value oneness, we must not be shaken because we outnumber them,” Hichilema said in Monze while attending the Lwiindi Gonde traditional ceremony at the weekend. The opposition leader reiterated that the country needs peace for development while emphasising that arrests on citizens with dissent will not in any way foster development but tension. Hichilema who is committed to working towards developing the country, also emphasises on the need to restore the rule of law in the country and enable citizens enjoy their fundamental basic human rights. Hichilema, who is a prominent farmer, also bemoaned poor maize prices and the underperforming agriculture sector. The UPND President sympathised with the farmers but called on them across the country not to relent but remain hopeful. Meanwhile, Hichilema stated that he is of the strong view that the country must continue joining hands in celebrating various traditional ceremonies as this will help shape the future. The Gonde Lwiindi ceremony was attended by hundreds of people from various parts of the country. Thank you for building words from president Hakainde Hichilema. This was peaceful and I was of the view that in any traditional ceremony all Zambians regardless of status should be allowed to attend and here for themselves what we want in those areas. recognise that there is a Presindent of the Republic of Zambia in the name of His Execellence Edgar Changwa Lungu.nobody else kwa mana. @Banda u are out of your mind.U are overly influenced by Wako niwako and umodzi kumawa warped thinking. On what basis can Lungu be recognized as a Legitimate President when he stole HH’s victory and is refusing to let the Petition heard in Court? If Lungu was Democratically,Legally and Constitutionally elected President why doesn’t he prove his Win in Court? Lungu has refused to allow the Petition to be heard in Court becoz he knows the Court will convict him for stealing the 2016 elections.For Lungu to be recognized he needs to be recognized by the Electoral Court first.No Court Validation Certificate No Recognition from HH and UPND.How can any Right thinking person recognize a Vote thief and a Treasonist as a Legitimate President?No way man!#Let the Petition be heard in Court.Period. Continue dreaming – tell your supreme leader that arresting law breakers will bring development. ARRESTING NAUGHTY AND CARELESS GUYS BRINGS PEACE OH!